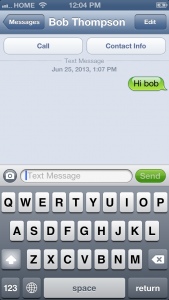 Use Messages to send text and picture messages to your friends, family, or other contacts. 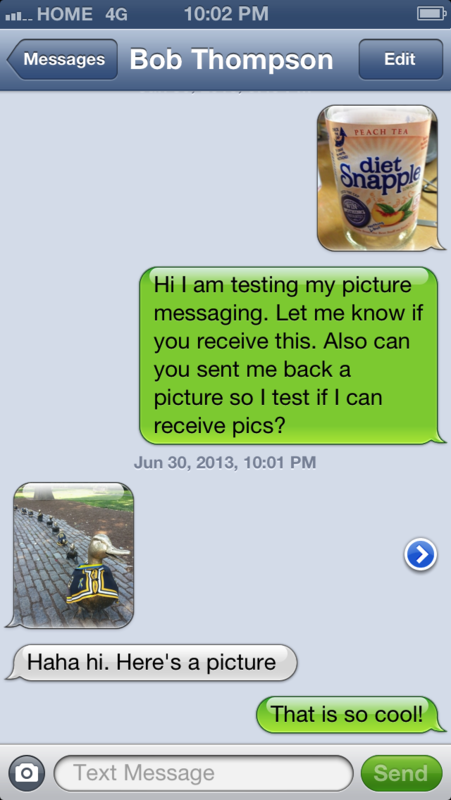 When you use Messages, your texts and pictures are sent using one of two different ways. If you use Straight Talk, Net10 Wireless, or Tracfone you should understand the difference. Like any other smartphone, Messages can text messages and picture messages to any other cell phone user using SMS and MMS. SMS and MMS are the way the different phone companies exchange messages. If you use the Apple iPhone and you send a message to someone who uses a Samsung phone, your texts and pics are sent or received using SMS and MMS. Messages can also deliver your messages using iMessage. iMessage is an Apple service that lets you send texts and pictures to other iPhone, iPad, iPod Touch, and Macintosh users. The service is unlimited and free if you are using your iOS device on a Wi-Fi connection. It will also use your cellular data connection to deliver messages and the cost for that depends on your data plan. 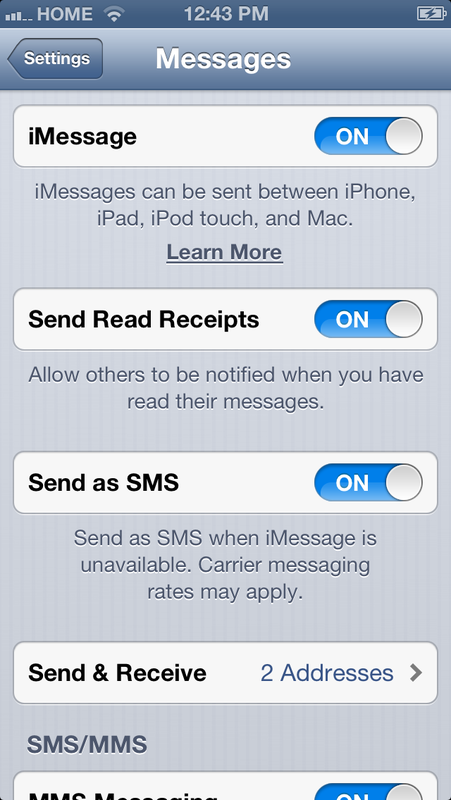 To use iMessage you need to turn in on in the Messages settings. It uses your Apple ID, email, and cell number to connect to other users using iMessage. 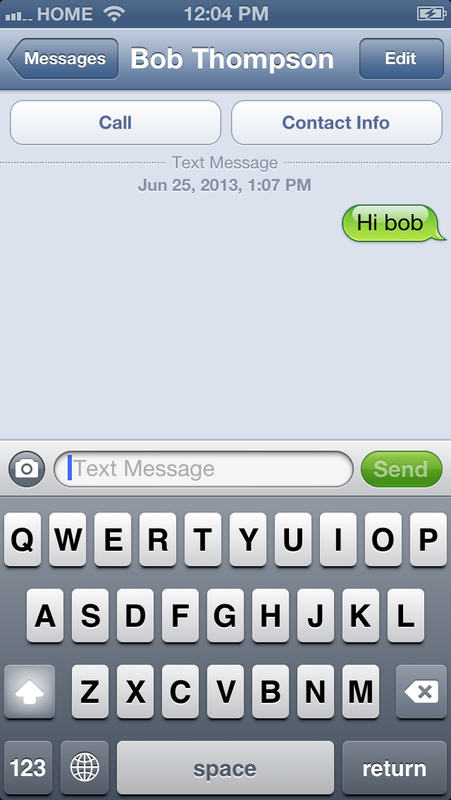 If you look carefully in Messages, you can see if your text or picture messages was delivered using SMS/MMS or iMessage. 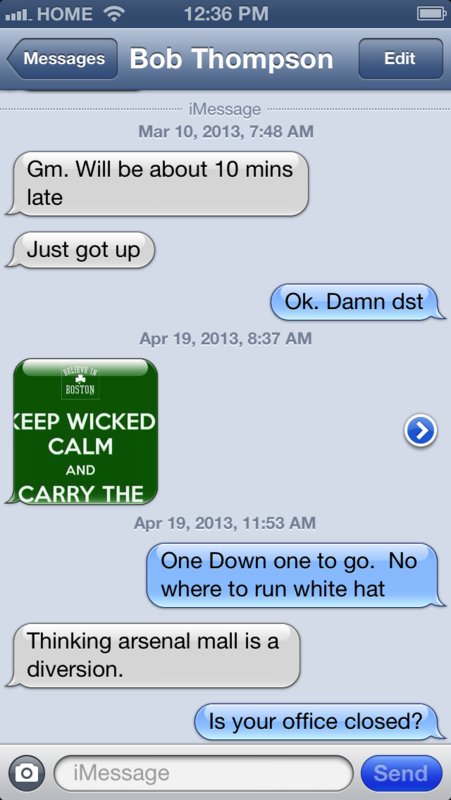 Messages sent using SMS & MMS appear in green. 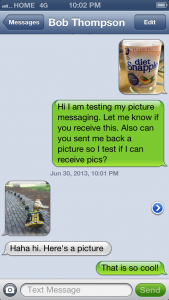 Also notice that Messages shows the the message is a text messages (SMS) in the second screen. Messages sent using iMessage appear in blue. This is why if you are using Straight Talk or Net1o Wireless you often can send and receive text and picture messages with other iPhone users but not people using other smart smartphones. food for thought:if porting on a Friday night,be patient! !don’t freak out! i have a iphone 3gs with straight talk/i have done all your tricks to engage cell data/messaging(sim swapping)so far cell data great,messaging a little funky.i can send sms pix with text but text shows up gray on my wifes iphone/i can send pictures no problem/text is a no go UNLESS i turn on subject field in messaging settings. then everything works perfect.pictures/text together no problem. i’ve been working thru this bout 4 hours trying different angles. i message initally was showing the activation error but is showing its operational. 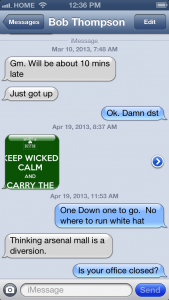 imessage not working all text are in green. any tips/pointers on messaging for the 3gs would be appreciated,great job!! 1. Back up your phone. 3. SIM swap again, and set your APN info, reboot your phone. 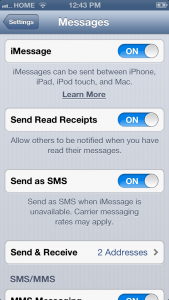 6. after testing, enable iMessage and check that it works. I assume you have imesaage turned on in your settings. when your boyfriend sends you messages from his iPhone, are they blue or green? When he sends me a message his are blue, and state delivered, but I dont get the message so for the life of us we cannot figure out where they are going! My daughter has iPhone and I have android. Sometimes her messages come thru and sometime they won’t download with a commend stating message will expire on a particular date. Why??? Regarding Roseanne’s post: I bought an unlocked iPhone 5s from Apple yesterday and I’m only part way through your tutorials. I now have data & text with the Att.mvno profile but not picture message. Got to get a sim to try the sim swap. But I accidentally found that in settings for messages, if I choose to show “subject field”, my text messages will not go through. But if I unchoose “subject field” the texts will go through. What’s that about? Thank you so much for your helpful information! I have spent an untold number of hours trying to get previous phones to work correctly on StraightTalk and I really want to keep this new one, but only if I can get everything to work. My guess would be that when you turn on the subject line the messages are no longer sent as SMS but as MMS. Group texts are also sent as MMS. Let me know who the SIM swap goes.